I love how effortless it looks when you have a wrist stacked with delicate bracelets. I have a couple I like to wear, when I can remember to grab them in the morning before dashing for my train, but you know, there’s always room for one more. And I’ve got my eye on this dainty little number. And I have Laura Gravestock to thank for this Dainty Bam! Enamel Bracelet. 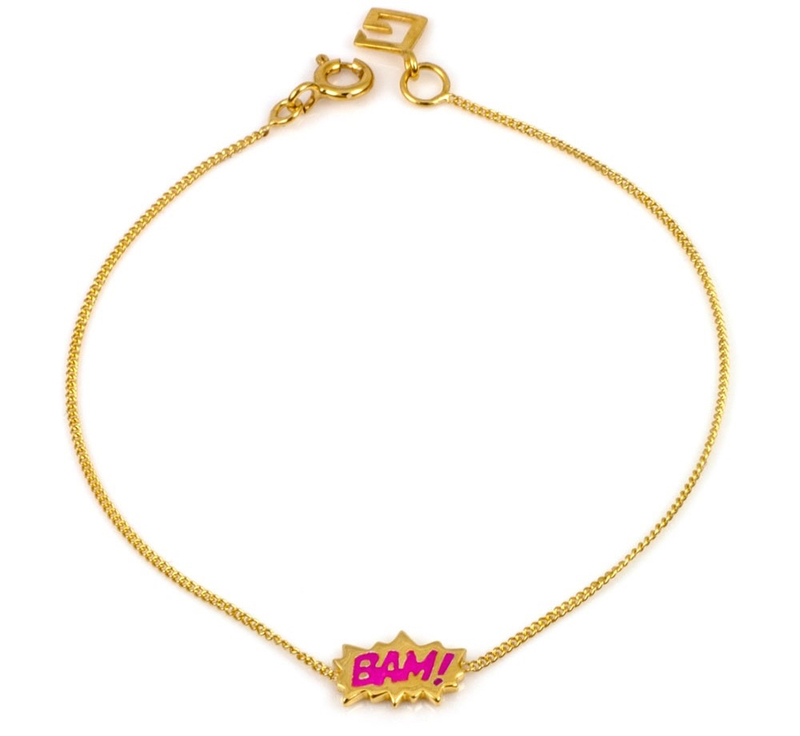 It’s cute, delicate and packs a punch with the pop-art inspired BAM!. It’s superhero-like. I’d wear this alongside my other delicate tassel bracelet, my giant pom pom bracelet and my pink knotted arm candy. I’ll be stacked up to my elbow. Next Post I’ve Got an ASOS Voucher But What Should I Buy?